Julia was an excellent guide. She picked us up right on time and was very helpful to us. We had a 2 year old toddler and she was considerate and patient whenever my toddler roams and causes racket. 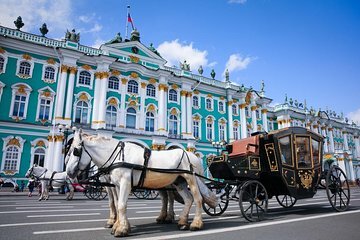 I just want to clarify in this tour that the pick-up from the hotel is actually a guide picking you up and you walk all the way to the hermitage while they point out historical stuff while you walk. I was under an expectation that there would be some transfers my mistake. Because we have a baby and I kept on slipping in the snow, Julia offered to get a taxi which was what I really needed. We learned a lot at the hermitage. Thank you to Julia. Forget going to St Petersburg in the summer when all the other travellers have taken the best hotels and there are people in all your photos. Get there early January, beat the crowds and get the snow capped photos that will impress all your friends.....well that was our reasoning anyhow. Coming from Australia you are not going to find any city covered in snow and the Russians know how to deal with it. Sure, it was -25 for a couple of days but if you layer up and have good boots it doesn't matter. 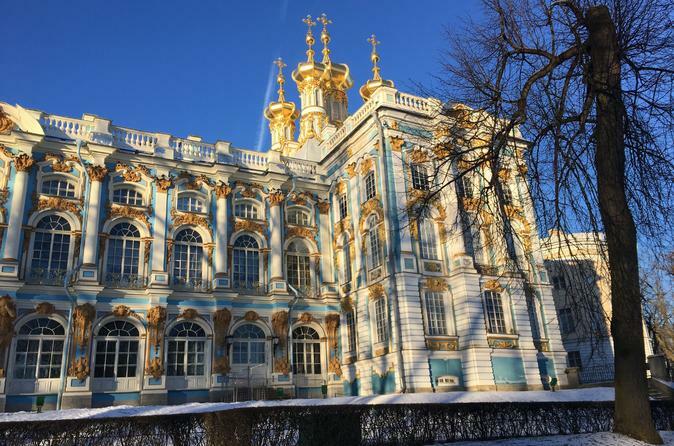 Our guide knew all the facts and was so nice we also booked her and a driver to take us to the Catherine Palace and a city tour the next day for 5 hours. The workmanship will blow you away and the fact the nazis flattened it and they rebuilt it has to impress everyone. The Amber Room at the Catherine Palace was stolen and never found so they reconstructed a new one, piece by piece as per the original photos !! !